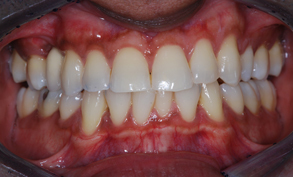 This patient had an accident and chipped their front teeth. The teeth were filled a cosmetic composite material which replaced the missing tooth substance with very little preparation. 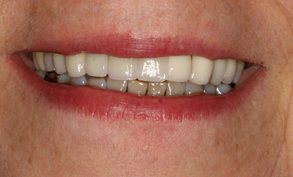 This patient had a part lower denture which was very loose which cause a lot of difficulty with chewing. She also did not eant any metal clips showing. It was decided a denture with a precision attachent would be the best option. All the front teeth were crowned and a special attachment was incorporated in to the last tooth on each side. The denture is specially made to house the counterpart of the attachement. 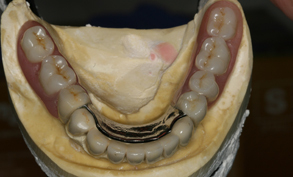 When the denture is inserted, the two parts slot into each other to provide stability and comfort during use. 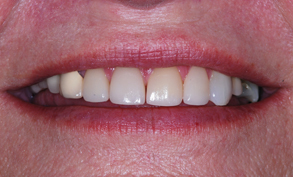 This patient hated her crooked teeth and never liked showing her teeth when she smiled. Six Month Smiles transformed her smile!! 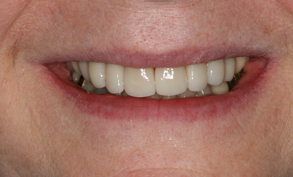 This patient had crowns made sevral years ago. She also had gum disease which required treatment.Once the gum treatment was completed, all the crowns were replaced to improve her smile. This young girl hated the gaps between her teeth. 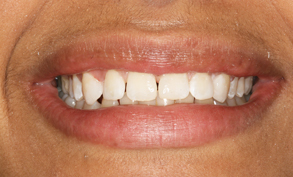 She wanted a natural looking smile and wanted to keep the gap between her two front teeth. 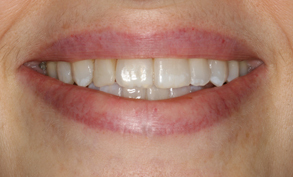 A cosmetic composite material was addedti her natural teeth to close the spaces between her teeth which has transformed her smile. 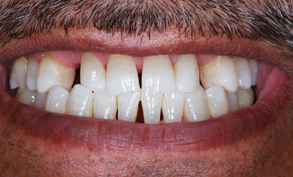 This patient hated the gaps between their teeth. 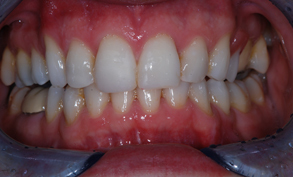 The gaps were closed by using a composite filling material which involved very minimal preparation of the tooth. This simple procedure has transformed this patients smile!! 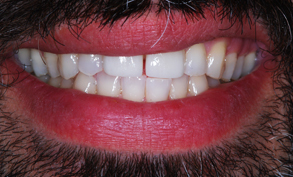 This gentleman had very discoloured teeth which he was very unhappy with. 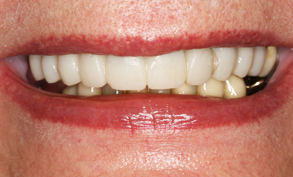 The teeth were whitened using Opalescence to greatly improve the appearance.